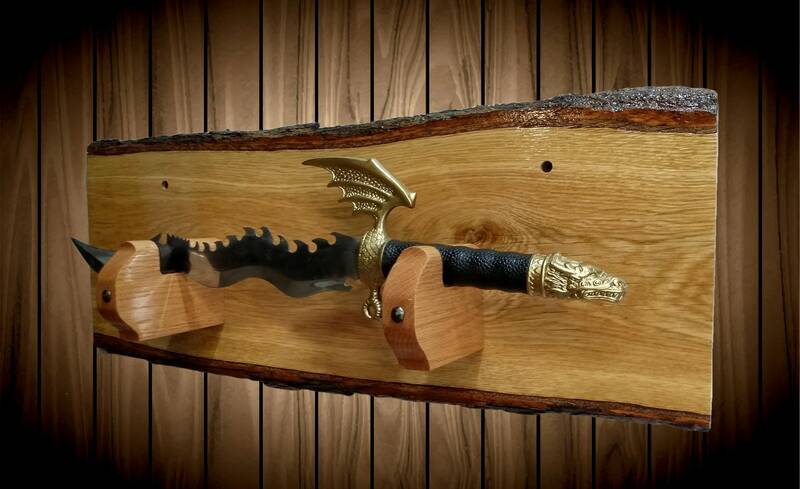 A Beautiful Handcrafted Rustic Sword Display Rack. 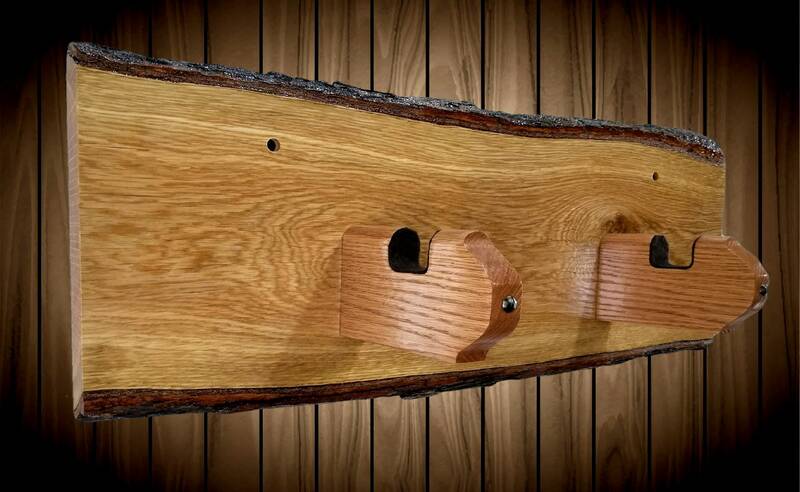 A Place To Display Old Memories or Ones To Come. 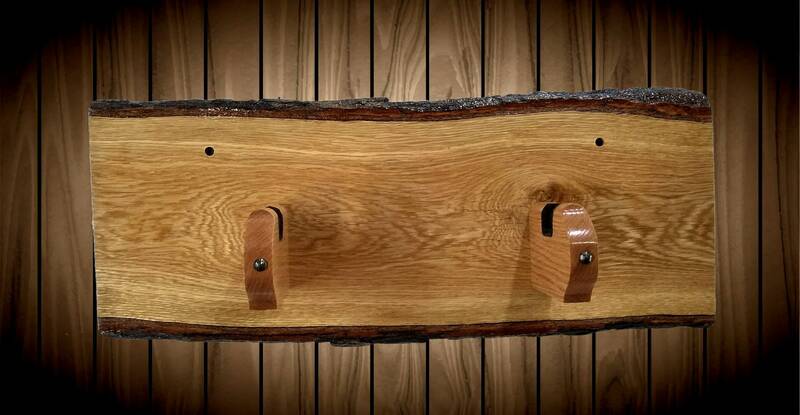 Live Edge Edge Oak Encased In A Glossy Polyurethane Finish. 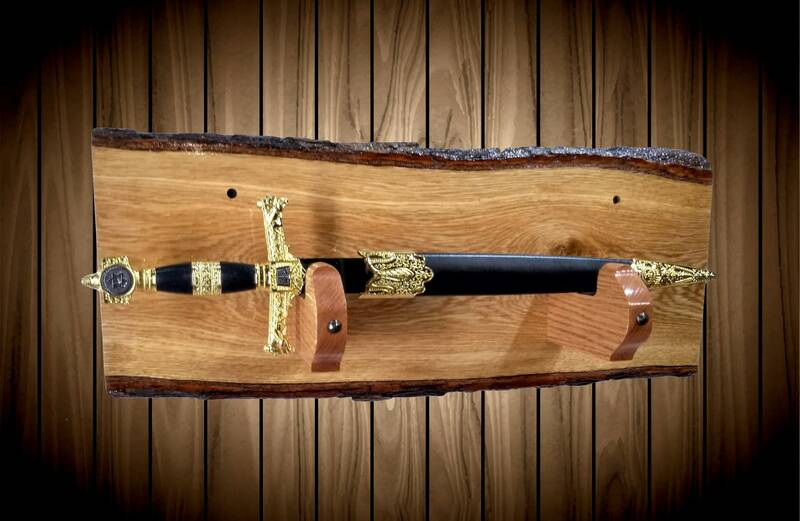 Decorative Oak Sword Holders with Black Felt. 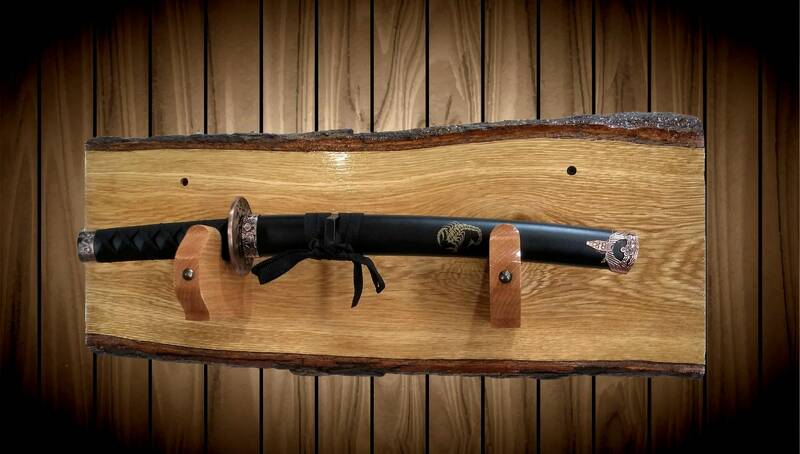 Display Your Sword With Honor. 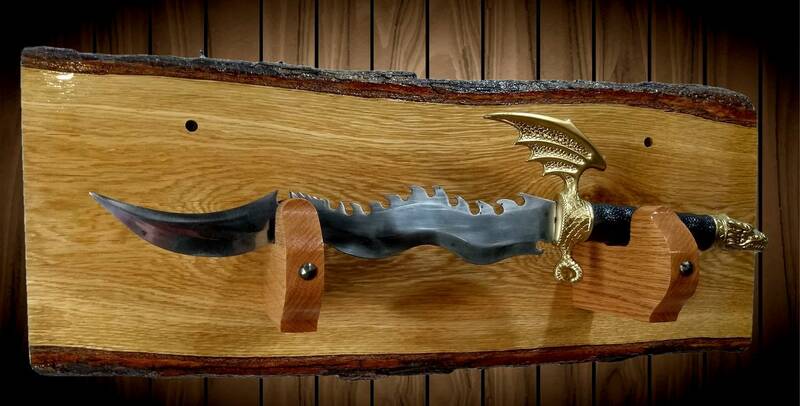 Different Swords for Different Decors. Hangers: 11” Center to Center. 1 1/4" Hole Diameter. 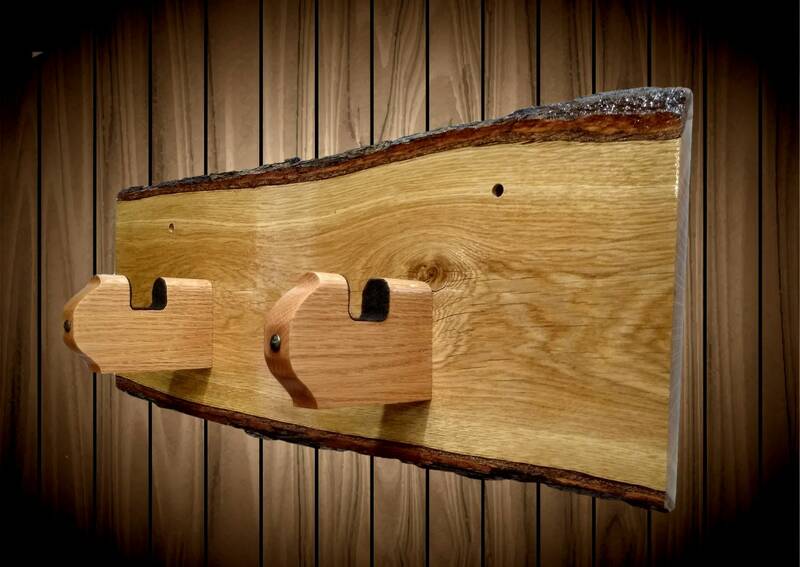 Handcrafted Cabin Décor, Rustic Home Style Gift Shop. 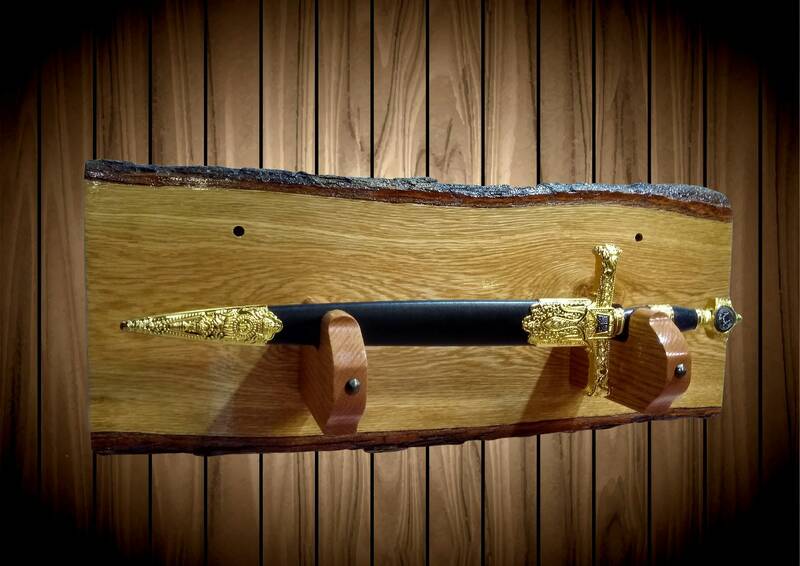 Uniquely Made Items with Careful Attention to Detail and Quality.